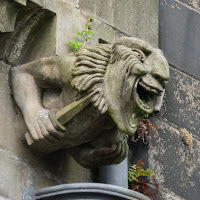 Gargoyles are menacing sculptures, sitting on the tops of buildings, staring out from the wall or roof-line, ready to spew rainwater from their mouths in a downpour. The word "Gargoyle" is from from the old French word 'gargouille' meaning throat. 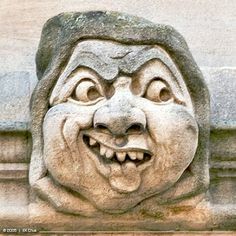 They are frightening, grotesque shapes most often found on Medieval Churches and Cathedrals. 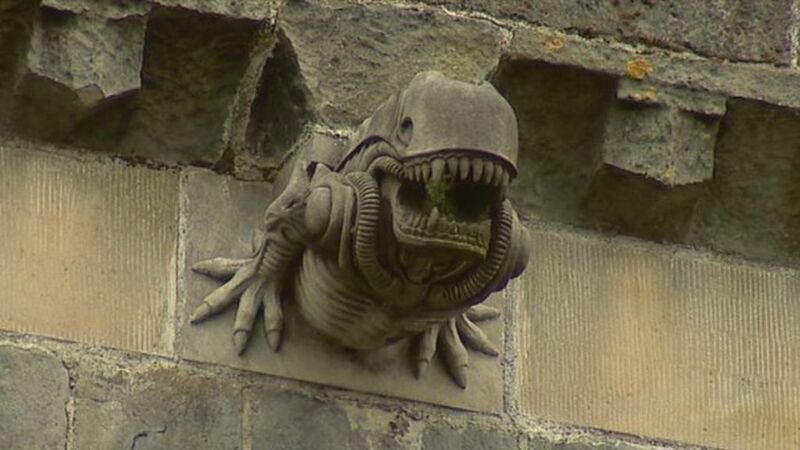 They are usually carved with big wide-open mouths. The open mouths make a gargoyle more menacing - symbolic of devouring giants. Gargoyles are know-it-alls, self-righteous, armchair experts - chameleons - who express a small part of their character in their "profile" and in benign posts and memes on their walls, never truly revealing themselves till you unwittingly push a button which transforms them into the embodiment of an architectural gargoyle only what they disgorge is not water. 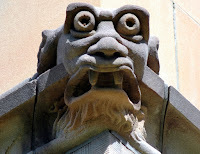 Beware the FaceBook Gargoyle! 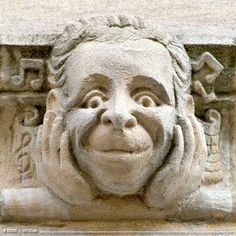 The FaceBook Gargoyle is not to be confused with another type of FaceBook friend whom you also don't know in real life. Those who are in your "friends list" but who never say anything - they're simply "there". Another architectural sculptural form describes these. Such a friend is a "Grotesque". But now I jest.